There are programs out there to ensure that everyone, regardless of income, has consistent access to food. We understand that tracking down information about these programs such as eligibility requirements and how/where to apply can be frustrating. Do not fret, we’re here to help! What can’t I purchase with SNAP? pet food, soap, paper products, household supplies, vitamins, and medicine. Food that will be eaten in the store (ready to eat). The Special Supplemental Nutrition Program for Women, Infants, and Children (WIC) offers nutrition education, breastfeeding support, referrals and a variety of nutritious foods to low-income pregnant, breastfeeding or postpartum women, infants and children up to age five to promote and support good health. Where can I apply for WIC? The Farmers’ Market Nutrition Program (FMNP) provides checks to women, infants, and children through the Women, Infants, and Children Program (WIC) and to seniors through the Commodity Supplemental Food Program (CSFP) for the purchase of locally grown, fresh fruits and vegetables. 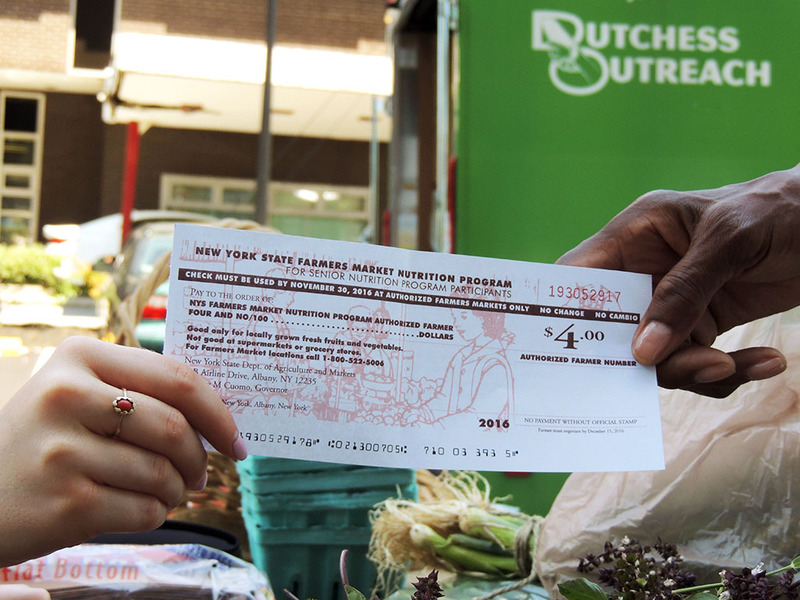 Fresh fruits and vegetables can be purchased with checks at farmers’ markets during the summer and fall. The program runs from June – November 30.